TAA is proud to count Hannah Macdougal as one of our very good friends having first worked together on our flagship Disability Awareness Training program in 2017. Since then Hannah has continued to share her time with us including attending our 101st AGM as our key note speaker in October last year. Hannah spoke passionately about how she has embraced life and all its challenges as a person living with a disability. In August 2017, Hannah received the Athletes in Excellence Award from The Foundation for Global Sports Development in recognition of her community service efforts and work with youth, and in November 2017 she was awarded the Victorian Institute of Sport, Sarah Tait Spirit Award. Hannah recently visited the TAA sites where she met staff and volunteers and noted how truly passionate they are about the work that they do. We asked Hannah what resonates most with her about the work of TAA and she said, “It’s the core message of creating a community and empowering people of all abilities”. 2018 is looking like a big year for Hannah. She’s off to a great start winning silver in the WC4 event at the 2018 FedUni Road National Championships in Ballarat. She’ll be heading to the UCI Para-cycling Road World Cup in Belgium this May and the Road National Championships in Belize in August. 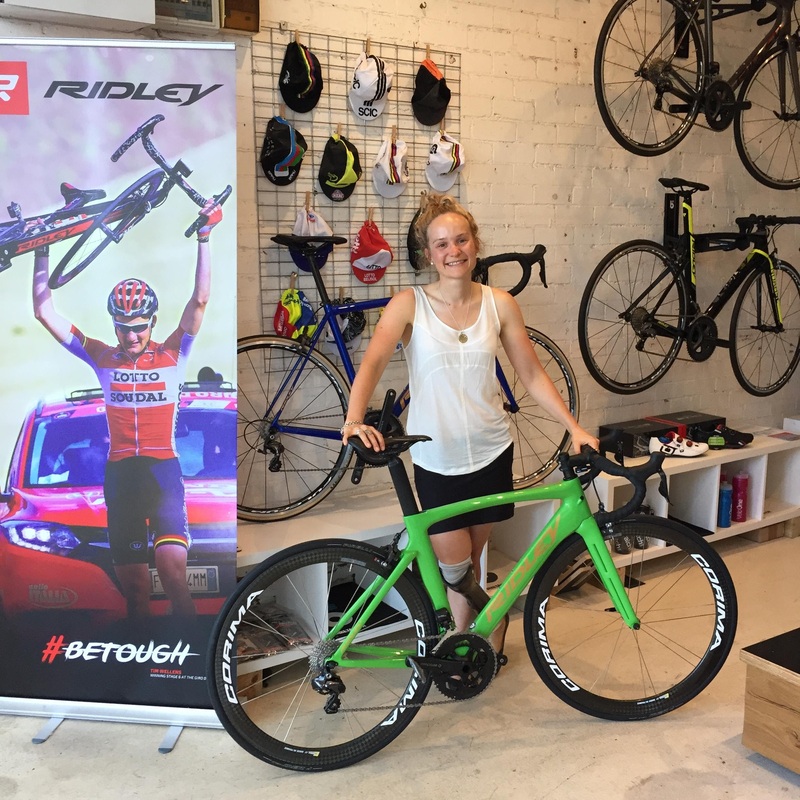 Hannah also aims to break into the elite women’s grade in Victorian racing league this year. We wish Hannah all the best with her 2018 goals and we’ll be watching and cheering her on.